Sign Up * Login * Start your 30 days free trial. You don't have to do it all. Your customers will love the ability to issue their own certificates. It is so easy for them and takes such a big load off your shoulders. Commissions tracking is crucial to your success. We have built a comprehensive system for tracking agency and agent commissions, fees or even interest rates on payment plans. NowCerts offers automated updates of your policy information from carrier databases. Stay on top of the insurance market through real-time, automated data exchange with carriers. Run your agency more effectively. Use your favorite tools with Nowcerts. We have designed NowCerts to be easy to learn and use. 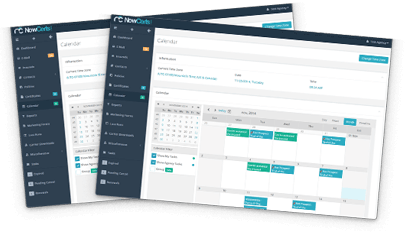 With NowCerts agency management system, you won’t need hours and hours of training and instructions. NowCerts.com is hosted in a secure server environment that uses a firewall and other advanced technologies such as encryption and authentication to prevent interferences. 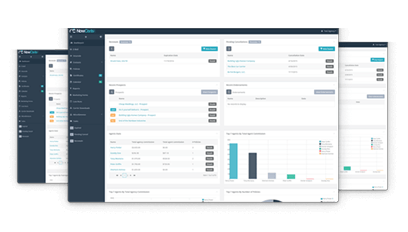 Not only is NowCerts AMS intelligently designed and engineered, it also includes a number of artificial intelligence features that will increase your Agency IQ. Create a project, assign tasks to agents or CSRs, track their progress. Easy to use tool for creating invoices, voiding them, taking payments, issuing receipts. We have all Acord forms available to you in PDF or HTML format. We have prepared a set of over 40 commonly used reports. We create an endorsement to keep track of every change you make. Obtain the loss runs you need for quoting your prospects. As your customers get close to the their renewal date, we will start reminding you. Our customers briefly describe their personal experience using NowCerts for their business. You can see a full list of reviews on our TrustPilot page. Excellent software. Very flexible. The support is immediate and very helpful. We are glad to have been referred to this software and team by a trusted friend in the insurance industry. NowCerts is excellent! Great system, excellent customer service and technical help when needed. I'd highly recommend it. This is our second purchased Agency Management System (AMS) within the last 10 years. By far, this has been the most intuitive and resourceful tool to help us manage our client documents and processing. 1. Can you handle certificates for me when I am away? 2. Can your system integrate with my QuickBooks service? 3. Whose name is on the certificate when I send it? What email does it come from? 4. How much do you charge per insured (to create their own account) for self-serve? 5. How much do you charge for sending certificates? 6. Can I send binders and cover pages? 7. How many agents can I have for the $59 per month? 8. How can I bring the information from my current agency management system to yours? 9. Do you charge more for Self-serve certificates and Insured Portal? 10. Do you provide training? 11. Do you have reminders for pending cancels, expired or cancelled policies? 12. Can I assign emails to specific insureds? 13. Does your agency management system offer data synchronization with all Acord forms? 14. How is NowCerts different than my current system? And why should I switch? 15. Can I transfer my data form my current management system to NowCerts? 16. Does Nowcerts have an API? 17. Can I integrate my HTML/Web forms with Nowcerts? 18. Is Nowcerts integrated with Zapier? 19. Can I import and store data in Nowcerts for which the system does not have predefined fields (custom data)? 20. In what ways can I customize my Nowcerts app? Yes! With this unique service, we can handle all your certificates needs – full time or part time. We have staff that will take phone calls for you and handle a variety of CSR related issues. Yes! We have the ability to interface with QB. We can download all your contacts from QB, help you set them up in the system and then we can upload invoice, payments and other transactions from NowCerts into your Quick Books account. All certificates are sent using your agency email server. So, the “From” field will have your agency credentials. All faxes are sent form our server, but the cover page has your agency name and fax number. You can edit the cover page to look the way you want it (even on the fly). There is no additional charge for Client Portal accounts. Your insureds can register for free and send certificates free of charge. Nothing. All certificates emailed or faxed through our system are free of charge. You can upload and save any document you want related to an insured then email it or fax it from the system. If it is an original document you need, you have access to all existing Acords forms in HTML or PDF. Chances are there is an Acord that will meet your needs. OR you can create your own form (Word, PDF, Excel), save it as a template and use it multiple times. You can have unlimited number of agents under your agency account for the $59/month. Each user that needs a separate username to access the system will cost $35/month. There are several ways of accomplishing this. We have developed a set of procedures and scripts to help transition your database from another AMS into NowCerts. It covers steps from obtaining your data from your current agency management system to importing that data free of charge to our system. Alternatively, you can bring your data through carrier downloads. No. You can create a user name for all of your insureds. They can obtain their certificates, request policy changes, make their policy payment, sign documents and many other things through the insured portal. Yes. We would love to show you around the system and go over all the neat things that NowCerts can do for your agency. You can have as many training sessions as you wish - FREE. Absolutely. You are in control of who, how and why should be reminded. Yes you can. You can sync your emails with NowCerts.com then assigning an email to an insured or a prospect with a click of the mouse. Yes it does. All Acord forms are available. Data entered into one part of the system will automatically flow to other parts. Including Acord applications, certificates and binders. For starters, I bet we are less costly than your current system. In some cases, NowCerts is a LOT less costly. But that alone is never a sufficient reason to switch, though it’s always nice to pay less for a better product and service. And our automated conversion service is free and will make your transition to NowCerts hassle free. Our full list of features is too long to compare to your current system. Yes! Our free database conversion services will make the transition from your current AMS to NowCerts a hassle free and seamless experience. In the course of doing a multitude of actual database transfers, we have developed procedures for database transfers form all major AMS systems in use today. With every consecutive AMS database transfer, we are further perfecting the process, automating larger portions of the steps involved via scripts and SQL procedures. We will build a parallel database in NowCerts that you will have the chance to test and make sure is built to your complete satisfaction. We won’t charge you a dime until you are ready to make the switch and we will never pressure you to do so. Yes! In June 2018 Nowcerts releases the new developer REST API. The URL of the API is https://api.nowcerts.com. Yes! Nowcerts users can integrate their own HTML/Web Forms into NowCerts through the use of our REST API. Also you can integrate any PDF form easily into Nowcerts. Yes! The integration with Zapier is available to users only "by invitation". Please e-mail peter@nowcerts.com if you would like to use Zapier for Nowcerts integration. Yes! You can use our Custom fields facility to define structures that hold custom data. Keep customer files in a single location. Access and collaborate from your AMS or anywhere. Native integration with the best and FREE email system. Carrier Downloads - keep your policy data up to date with the click of a mouse. NowCerts keeps track of all your insurance related transactions. Sync with Quick Books for your taxes and financial statements. Access to the entire library of Acord forms. Data pre-fills automatically from the database. Legally binding electronic signatures. Use with NowCerts or stand alone. Organize and track each lead through your sales process in one place. Build sophisticated CRM automation campaigns. Use Zapier integrations to create powerful workflows without using separate services. Integrate NowCerts with thousands of other cloud applications in minutes. Use Twilio for SMS to send and receive text messages over the carrier network to any phone, anywhere in the world. Simplify your business communications with a powerful phone system. Your customers login to their account from your existing website. Clients can submit service requests on your website and they can be accessed and tracked in NowCerts. Integrate our plug-in quote application. Visitors can apply for a quote and the data is transferred to your NowCerts Prospects records automatically. Create fully-featured custom integrations using our developer API. Expand the capabilities of your application and combine them with the power of NowCerts AMS. Try NowCerts for 30 days for FREE, absolutely no string attached. See if our system is the right solution for your agency. We'll help you import data, set up the agency, and give you basic training. Round the clock support. Award winning customer support included with no hidden costs. Pick a time (30 minutes) to see what NowCerts can do for your business. Schedule a personalized web session with one of our system specialists. Please use the Contact us form to send us your questions an feedback. Thank you for your interest in NowCerts AMS! Thank you for your contact request. It was sent successfully. © 2019 NowCerts. All rights reserved. NowCerts and NowCerts logo are trademarks of NowCerts, LLC. We will contact you as soon as possible. You have received an email with link which logs you in our Test Agency automatically. You can check out NowCerts AMS before the demo. Personalized web session with one of our system specialists.